TBILISI, DFWatch–Tbilisi City Court on Thursday ordered the seizure of the shares in the company that owns the television channel Rustavi 2. The court ordered the seizure of all shares in TV Sakartvelo, which holds 51 percent of the shares in Rustavi 2. The latter had its shares seized in August. After the decision, Rustavi 2’s director Nika Gvaramia called on viewers to donate money because the television company no longer has any means of income, and accused the government of attempting to make it go bankrupt. 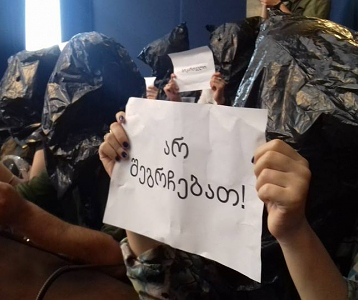 “The government actually almost shut down Rustavi 2,” Gvaramia said, standing outside the studio building surrounded by employees. Rustavi 2 has played an important role in recent Georgian history. It was critical of the government during the end of Shevardnadze’s presidency, encouraging the rose revolution in 2003, then became strongly pro-government during the Saakashvili era 2004-2012. 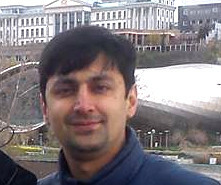 Rustavi 2’s shares were seized because of a lawsuit by investor Kibar Khalvashi. 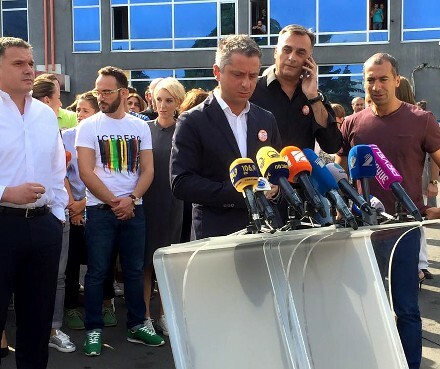 His lawyer Paata Salia said Thursday that the Karamanashvili brothers were allegedly planning to transfer their shares in TV Sakartvelo to Dimitry Chikovani, who is an affiliate of former Defense Minister Davit Kezerashvili. The lawyer said that the owners planned to load Rustavi 2 with fictitious financial obligations. 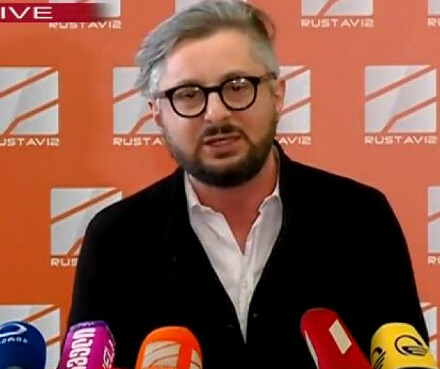 Khalvashi believes that the owners of Rustavi 2 are creating additional artificial barriers for him to reclaim ownership of Rustavi 2 through the lawsuit. 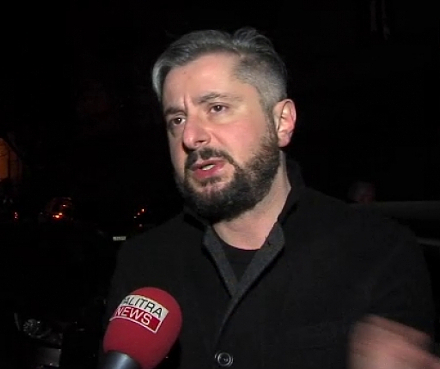 “As soon as we learned about a possible fictitious agreement, we required to prohibit the alienation of TV company Sakartvelo, which Tbilisi City Court has satisfied,” Salia said. This way, they avoided the threat of being loaded with liabilities worth several million, he added. 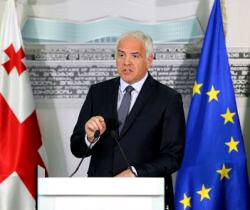 Gvaramia said that Rustavi 2 attracted investments worth six million and the person is really a relative of Kezerashvili. “We never would have needed an investor if the government hadn’t put us in this situation. There was no way out for us,” he said, adding that the investor agreed to never intervene in their editorial policy and also to buy the property which was in danger. It wasn’t possible to sell Rustavi 2’s frozen assets, but it was possible to do so with TV Sakartvelo, which would bring in new investments to Rustavi 2. The Public Registry did its best not to register this agreement, he continuned, until the court seized TV Sakartvelo’s property. “Kibar Khalvashi is fighting against us and free media, but not for reclaiming property. Otherwise he wouldn’t have been refused to get rich of a TV company with six million more of investment,” he said. “I promise the government: You will shut down before Rustavi 2 does,” he warned.